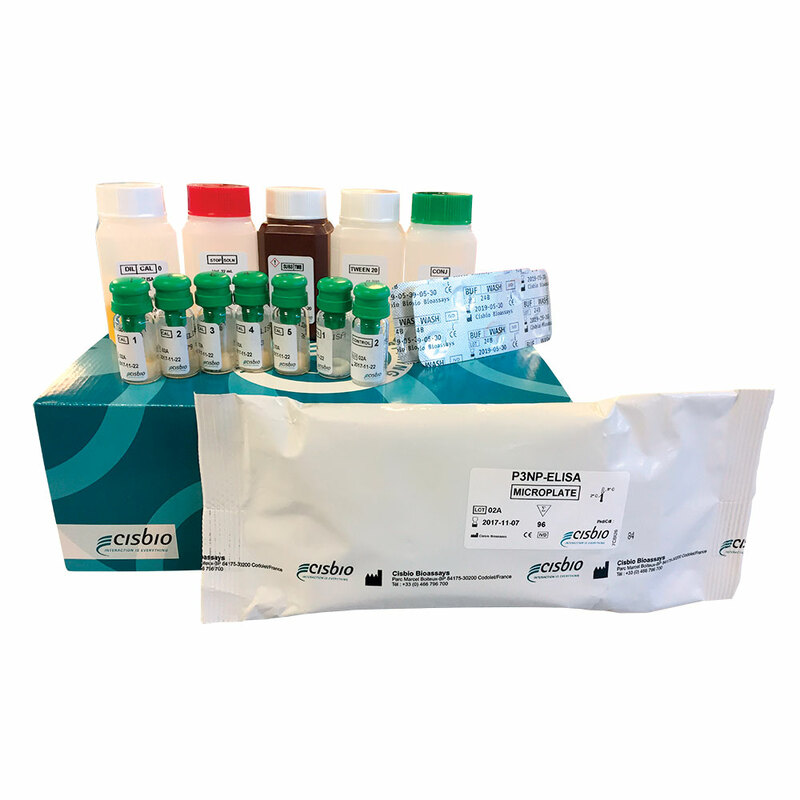 ​The P3NP-ELISA test enables the determination of human procollagen III peptide (P3NP) in blood for fibrosis research. ​The P3NP-EL-US assay is a colorimetric immunoassay. A monoclonal antibody, immobilized on the microplate, captures the PIIINP proteins contained in the calibrators and samples. The bound proteins are then recognized by a second monoclonal antibody conjugated to HRP (Horse-Radish peroxidase). The unbound reagents are eliminated by washing. Then, the colorimetric reaction is started by the addition of the HRP substrate TMB. The reaction is stopped by addition of an acid solution, the optical density (OD) of each well is read at 450 nm.